Download the eBook once and I will email you with later updates. 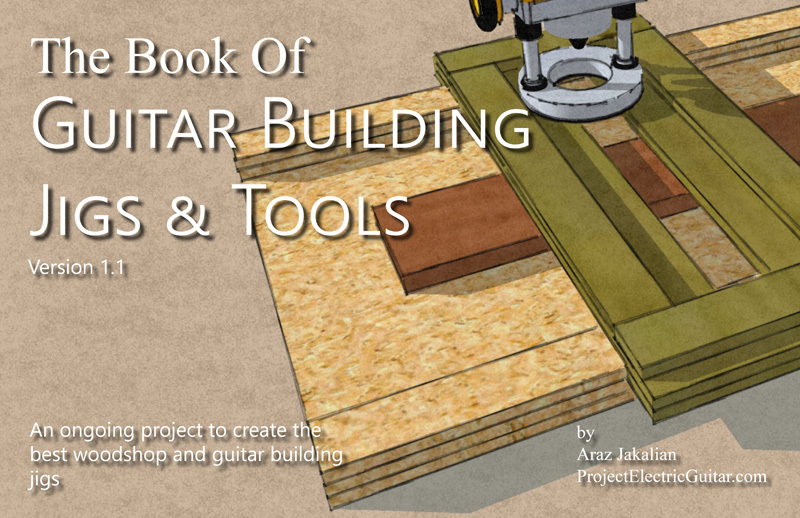 By downloading the eBook, you agree to be automatically subscribed to Project Electric Guitar. You can unsubscribe anytime and I promise never to abuse your email address. Thanks. I will be sending you newer versions as I add more jig and tools to the ebook. By the way, thanks for yor help by doing this kind of things. Not always you can find this kind of material for free. Thanks, but when I try to download the book, I get a message that I am already subscribed. What have I done wrong? Hi Dave, go into your emails and open the one titled “Welcome To Project Electric Guitar”. In that email, there’s a link to the ebook. nice with people who share for free!!! I’m new to guitar building but it seems a logical next step from building tube amps and loudspeakers for 43 years. Great videos and very useful information. Thanks Fred! I’m glad you’re finding my website useful. How can i get a look at your ebook on building jigs. Saws it is currently unavailable for download?